Brittany's Book Rambles: Blog Tour: The Inevitable Collision of Birdie & Bash Author Q&A! 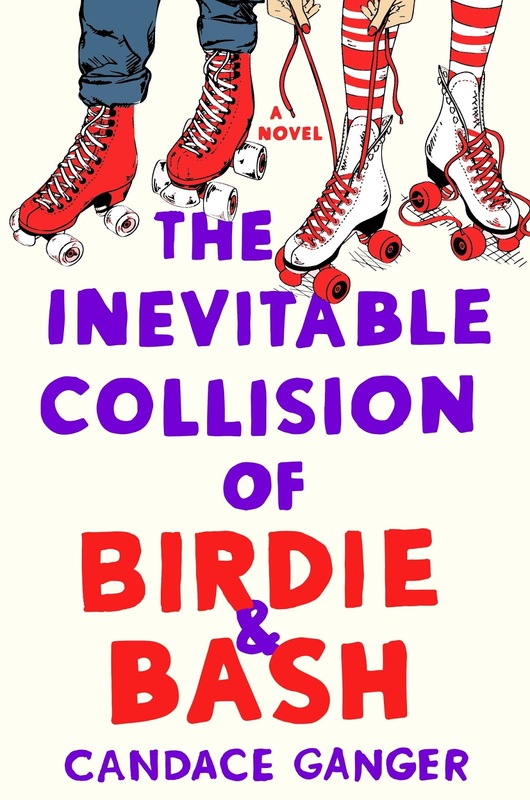 Blog Tour: The Inevitable Collision of Birdie & Bash Author Q&A! 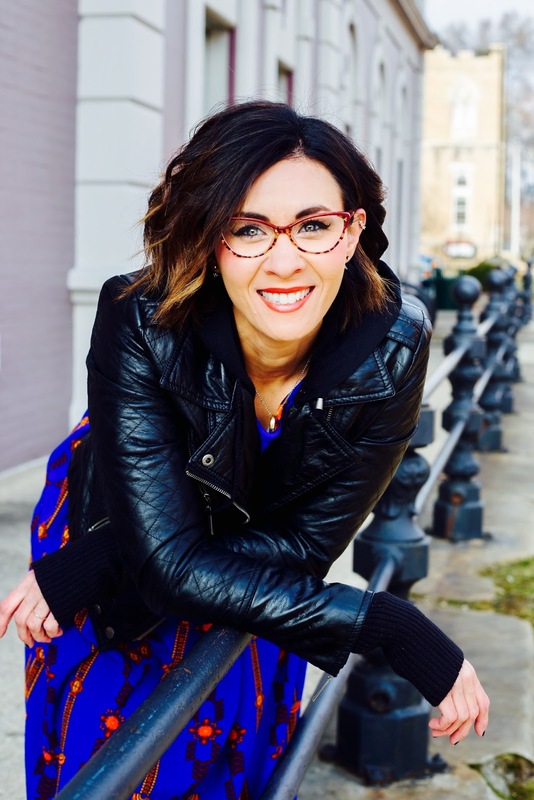 CANDACE GANGER is a young adult author, contributing writer for Hello Giggles, and obsessive marathoner. Aside from having past lives as a singer, nanotechnology website editor, and world’s worst vacuum sales rep, she’s also ghostwritten hundreds of projects for companies, best-selling fiction and award-winning nonfiction authors alike. Candace—aka—Candyland—has a severe Milky Way latter addiction + eats way too many donuts/doughnuts but all things in excess, amiright? FYI: She’s TOTALLY awkward in person (#sorrynotsorry). She lives in Ohio with her family. What's your writing process like? Do you have any fun or unique habits? I’m a perpetual procrastinator when it comes to diving into a book project. 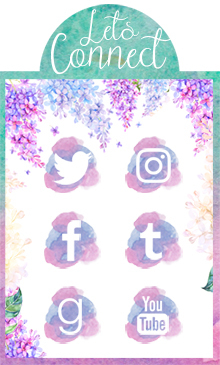 Ironically, I also have OCD, and part of my obsessions stem from checking all social media pages a certain number of times between pages. It sounds time-consuming, but it actually helps me stay on task. I also have Food Network playing in the background (any show) and typically sit on my uncomfortable couch as opposed to my nice desk! I’m a complex creature. I love to write the scenes with romantic tension. I want readers to want Birdie and Bash together, but I’m not going to give that to them without making my characters earn their right to be together first. Kind of like life, am I right? I didn’t love writing the trauma scenes, because the accident is loosely based on true events circa 1979. I wanted to handle them the right way, while fictionalizing them just enough. It’s a delicate balance, but my family’s feelings were all I thought about with those. It’s always been my intent to give them the ending they deserved, but never had. Who are some writers you'd love to collaborate with? I’d love to work with Nicola Yoon, Adam Silvera, Becky Albertalli, Emery Lord, A.S. King, Nova Ren Suma, Jodi Picoult—SO MANY MORE! I’d actually just love to keep working, period. With anyone. Who is a fictional character that you relate to the most, and why? While a totally common answer, I think Hermoine Granger so closely resembles some bigger pieces of me with her immense fear of failure and deep insecurities. Though, I wasn’t constantly brimming with knowledge to the annoyance of my friends (I wish I had been!). I’m also slightly a Katniss Everdeen, in that I’ll do whatever I have to, to protect those I love. There’s many strong female characters I relate to for different reasons because they’re all different parts of me. The central tragedy, as I mentioned, is something I knew I had to write about because I always felt my family deserved a better ending than the one they got. I hope, in some way, I could give them that through these characters and their stories. Do you have any favorite fictional couples/OTPs, and what about them makes you love them so much? Is it weird that I don’t have any absolute favorites? I’m particular about my fictional romances, because I’m so hesitant about love in the first place (aka Birdie). In fact, Birdie & Bash originally had a different ending altogether because of this! If you could describe THE INEVITABLE COLLISION OF BIRDIE & BASH in five words, what would they be? Collision, Lies, Loss, Heartbreak, Hope. What are you working on now? Can you share any details about your upcoming project(s)? I’m working on a second YA contemporary for St. Martin’s (Wednesday Books), titled FALLEN LOVED ONES AWAITING TRANSFER (#FLOAT) about a girl dealing with the death of her father who was killed in combat, overseas. This one is really close to my heart, as my main character, Naima, is on a painful journey of healing—much like the one I’ve been on since learning of my father death from cancer in 2004. I’ll have more details on this soon enough. The cover of this book is so cute with the rollerskates. ^_^ Great interview! I am a little more interested after reading the author's thoughts. I was sort of moved when she talked about her inspiration for this book. Every time I'm at a book event and there are multiple authors the authors end up selling me on their books. 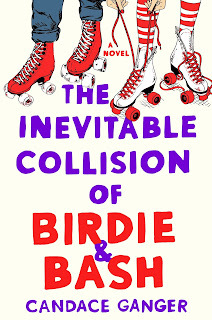 I hope you added The Inevitable Collision of Birdie & Bash: A Novel to your TBR! I'm happy you enjoyed this one! Our likes are often in line with each other so it's good to hear that you liked this one. I would also totally love to write with Nicola Yoon and Adam Silvera, they both seem so fun! Thanks for sharing Brittany! They both are amazing authors, but in combination they would break everyone's hearts I think haha. Amazing interview!! And gosh, as an aspiring author this really spoke to me; I can so relate to her OCD and checking social media and procrastinating!! Thank you! I think it's important to hear about author's writing styles so aspiring authors like ourselves feel less alone. oh this book sounds simply amazing here. And what a lovely interview. I connect more with Hermione Granger as well because I loved books and had many insecurities when I was a teenager. I'm glad you enjoyed this post! I think a lot of bookworms identified with Hermione, I know her character really spoke to me. Thank you! I hope you have this one on your TBR and that you enjoy it!